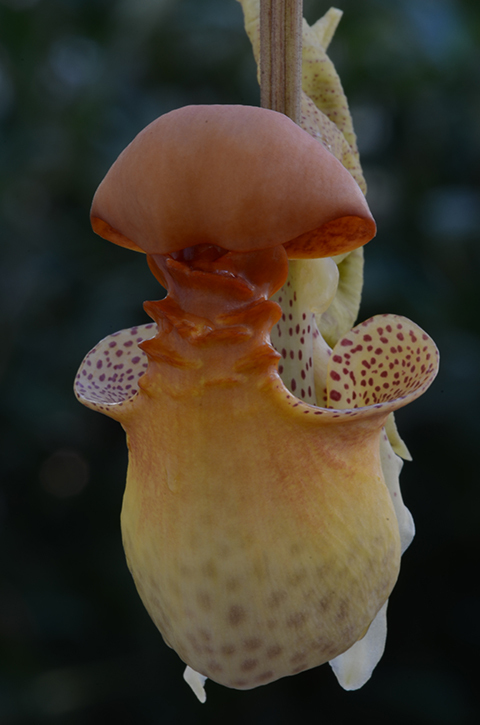 Coryanthes macrantha flowering at the Atlanta Botanical Garden. The genus Coryanthes is called the Bucket Orchid. How it works. 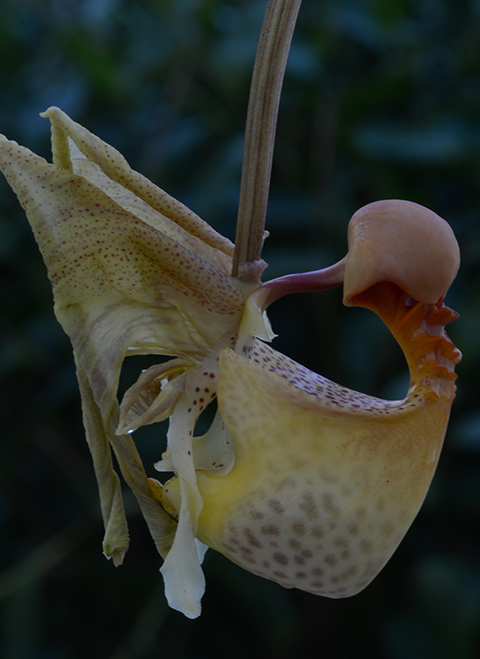 The Coryanthes "bucket" (facing right) is part of the flower's lip, a highly modified petal. The other two petals and three sepals (left) are reflexed backwards like wings. 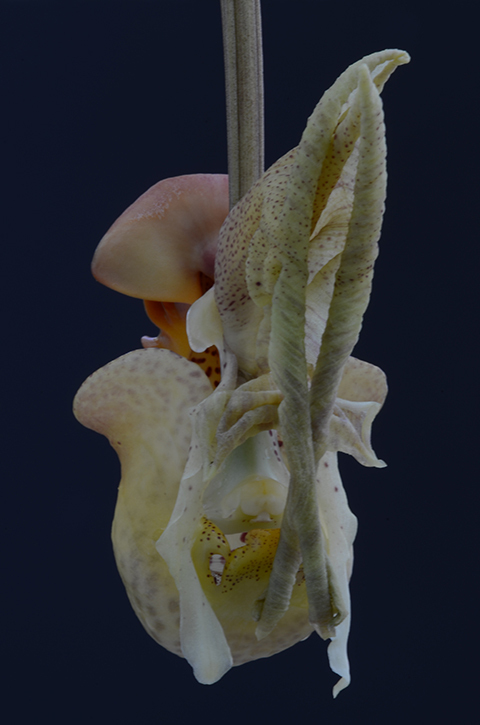 Coryanthes flowers produce fragrance attractive to male Euglossine bees. After brushing the fragrance from the lip, the bee falls into the bucket. The back door. After immersion in the liquid-filled bucket a bee must force his way out through a small opening at the rear where a pollen bundle is deposited on his back. Autumn brings a flush of new root and shoot growth to our (insert your own adjective) Bucket Orchids. A few, like Coryanthes macrantha, are far enough along in their development to produce flowers. The flower pictured above measures about four inches from top to bottom. A Coryanthes flower would make anyone stop for a second look.